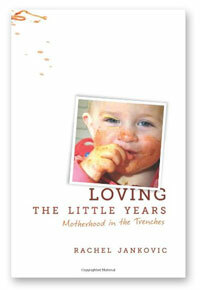 Rachel’s first book, Loving the Little Years, was excellent. Her second is just as good. 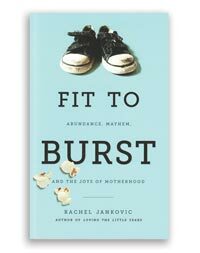 Fit to Burst deals with a lot of the ‘normal’ motherhood obstacles: keeping up the home fires, discipline of the mundane, and guilt cycles. 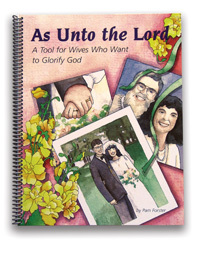 But she also dives into less familiar topics, including keeping fellowship and food, your influence on the relationship between your husband and children, being your own boss and employee at the same time (an amazing chapter), and much, much more. My favorite thing about this book is that when was I deeply convicted, I was immediately inspired with something I can DO about it. And her word pictures stick with you—things like sewing gold dust in our children’s lives, or playing rugby, or being a good boss to yourself… anyway—you should read it for yourself! I don't pull punches or hold back in this book, because I am writing to myself as much as to you. If something in this book strikes a little close to home for you, know that it struck in my home first. I am not writing about other people's problems, although I know many of them are common. I write about what I know, and what I know is the challenges, the joys, and the work involved in raising little people. As a mom with children the same ages as Rachel (minus the twins), I could relate to every single chapter in her book. Rachel's book didn't put me down or make excuses for the sin in my life. She didn't just talk about the difficulties of motherhood. However, she reminded me that we truly are in need of His grace each and every moment and pointed me in the direction of the cross. I was convicted, but not guilt-ridden. I was definitely encouraged. Thank you, Rachel, for wise words. As Great As Rachel's First Book! Love love love this second book by Rachel Jankovic! It's a delightful follow-up to her first book, "Loving the Little Years." 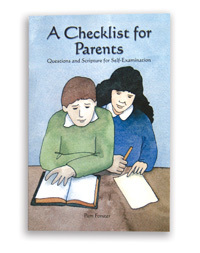 It contains honest, practical, biblical wisdom from a mama who is right there in the thick of motherhood. I give this book (along with her first book) as gifts to new mamas because it's such a treasure of advice and a real joy to read. I also love that it's a shorter book with short chapters--very practical for busy moms to read a chapter here and there throughout a typical day.